Our exclusive line of patented CO2 Free-Space Gas Slab Lasers is designed specifically for the needs of laser cutting, engraving, graphic imaging and marking applications. Our lasers produce an excellent quality beam with even power distribution and good near and far field characteristics. We design and manufacture all of our lasers which range in power from 10W to 150W. Each laser cartridge is precision-aligned prior to shipment and can easily be interchanged with cartridges of differing power. Our versatile ILS platform is designed to accommodate laser processing of continuous materials, such as long sheet goods or rolled materials. Dual side-opening doors allow side loading of materials and the patented detachable class 4 safety module allows the laser system to be converted from a fully enclosed (Class 1) laser device to an open (Class 4) laser device. The ILS12.75 is our largest and most versatile platform. Engineered specifically for manufacturing environments, it can handle applications ranging from prototyping to automated manufacturing. In addition to a spacious 48" x 24" x 12", 13,824 in3 (1219 x 610 x 305 mm, 226,795 cm3) material processing envelope, the ILS12.75 incorporates our Pass-Through feature, which allows both side doors to be opened to process materials of unlimited length. Universal’s ILS platform is also the only CO2 laser system in the world that can be converted between CDRH Class 1 and CDRH Class 4. The ILS12.75 is dual laser compatible and has a processing power range of 10 watts, when using our smallest laser cartridge, to 150 watts when using two of our 75-watt lasers. The massive processing power of the ILS12.75 allows it to function as a standalone production solution, but it can also be integrated into an automated assembly line. 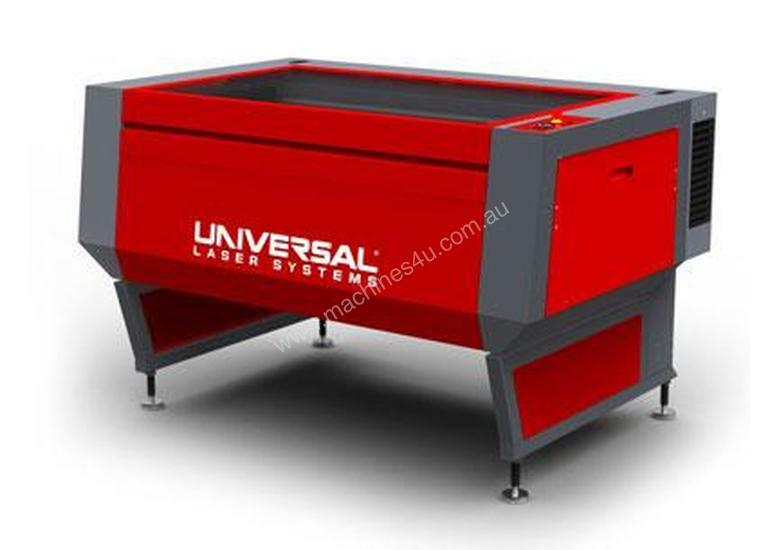 In addition to the basic capabilities of the machine, there are a number of patented Uniquely Universal features that are only available from Universal Laser Systems. Laser Interface+ and Rapid Reconfiguration are Uniquely Universal features which come standard on the ILS12.75. Dual Laser Configuration, Super Speed and Pass-Through functionality are optional features that will reduce downtime and increase productivity. All Universal platforms use interchangeable components, giving you the ability to tailor your system to fit your needs. Highly productive laser cutter for large format material.